The location of B dock is nothing short of exceptional. From this location, the majority of the Put-in-Bay Restaurants, Attractions and Shopping choices. Furthermore, the Boardwalk Restaurant and Keys Restaurant are closest to B Dock. Also, the beautiful DeRivera Park is just across the street. Here, boaters can clean up at the bath house. Inside, there is a restroom facility, showers and lockers available for rent. Additionally, the park offers a great picnic area. There are multiple tables and built in grills. So, just bring the charcoal and meat! Additionally, there are great play areas in the park. This includes Will’s Playground. This play area is specially designed to accommodate all children. So, those with physical limitations can still enjoy the space. Boaters can enjoy additional features on the dock. Full service power, water and high speed internet make this like a second home. Also, the helpful dock hands are ready to assist in docking and launching. Below is the most current rates. Opting to stay overnight results in daily fees applying to total rate. 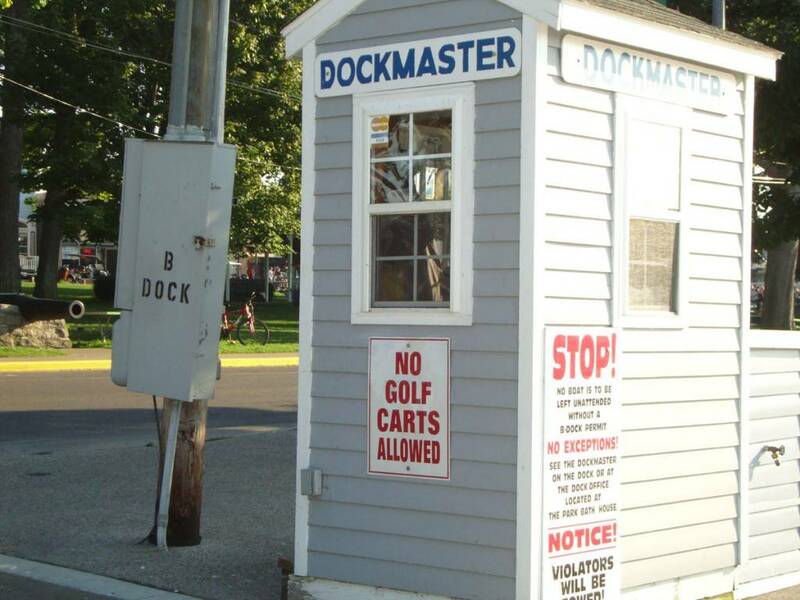 Ask for daily special rates from dock master. So, where does this money go? Monies collected from B Dock are the sole funding for the DeRivera Trust. Furthermore, these funds pay for the employees, upkeep and all related costs. So, boaters help to keep this beautiful green space functioning. So, support a worthy cause by dropping anchor at B Dock!